If you have any information about these crimes or any person(s) involved, you are urged to call Crime Stoppers at or submit a Web Tip . You do not have to give your name. CRIME STOPPERS will pay a cash reward of up to $5,000 and you can remain anonymous. ON MARCH 13, 2018, AT ABOUT 0730 HOURS, THE NEU MART AT THE 1400 BLOCK OF HIGHWAY 16 SOUTH, WAS BURGLARIZED. ANYONE WITH INFORMATION REGARDING THE BURGLARY PLEASE CONTACT CRIME STOPPERS AT 830-896-8477. THANK YOU, ELIAS GARCIA KERR COUNTY CRIME STOPPERS COORDINATOR. ON 11/24/2016, A BURGLARY TO THE CENTER POINT NEU MART OCCURRED. ITEMS WERE TAKEN BY SUBJECTS PRIOR TO DEPUTIES ARRIVAL. INFORMATION IS NEEDED TO IDENTIFY THE SUBJECTS AND ITEMS TAKEN. PLEASE CONTACT THE KERR COUNTY CRIME STOPPERS LINE AT 830-896-8477. ON OCTOBER 14, 2016, AT ABOUT 2100 HOURS, THE KERR CO. SHERIFF`S OFFICE WAS DISPATCHED TO THE CENTER POINT HIGH SCHOOL FOOTBALL GAME. TWO BAND BUSES FROM THE LA PRYOR ISD WERE BURGLARIZED DURING THE HALFTIME EVENT. NUMEROUS ITEMS AND PERSONAL EFFECTS WERE TAKEN FROM THE BUSES. CRIME STOPPERS IS REQUESTING INFORMATION ON THE SUSPECT(S) REGARDING THIS BURGLARY. The Kerrville Police Department is seeking the public’s assistance regarding the shooting, where a 7 year old child was shot in the head, which occurred on the evening of 10-01-16 at the intersection of Schreiner and Paschal in Kerrville, Kerr County, TX. Police are seeking to identify and question individuals that may have been involved in the shooting and were seen leaving the scene in a compact dark vehicle. 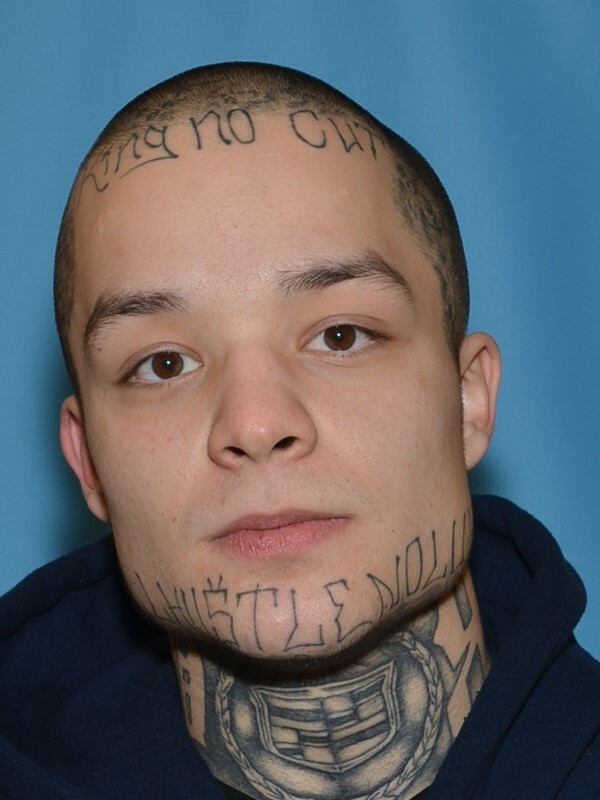 Additionally, we are seeking information on a male individual who was seen leaving the area on foot at the time of the shooting. Please contact the Kerr county crime stoppers phone line at 830-896-8477. ON 2/8/2016, THE KERR COUNTY SHERIFF`S OFFICE RESPONDED TO TWO DRIVE BY SHOOTING CALLS IN THE INGRAM AREA. ON 2/22/2016, THE INGRAM CITY MARSHAL`S OFFICE RESPONDED TO A DRIVE BY SHOOTING CALL ON MAIN STREET IN THE CITY OF INGRAM. BOTH AGENCIES WOULD ENCOURAGE ANYONE WITH INFORMATION REGARDING THESE SHOOTING TO CALL THE KERR COUNTY CRIME STOPPERS LINE AT 830-896-8477. BETWEEN THE EVENING HOURS ON 1/10/2016 AND THE EARLY MORNING HOURS ON 1/11/2016, FOUR VEHICLES WERE STOLEN FROM ROBERTS AUTO SALES PARKING LOT, LOCATED IN THE 2400 BLOCK OF MEMORIAL BLVD. THE KERR COUNTY SHERIFF`S OFFICE IS INVESTIGATING A BURGLARY OF A MOTOR VEHICLE THAT OCCURRED IN THE 100 BLOCK OF FAWN VALLEY LANE IN KERRVILLE, TEXAS LAST NOVEMBER OR THE FIRST OF DECEMBER 2015. TWO GUNS WERE STOLEN FROM THE VEHICLE; A KIMBER .45 PISTOL WITH DIGITAL CAMO GRIPS AND AN AR-15 RIFLE WITH MAGPUL ACCESSORIES WITH A EOTECH SCOPE. 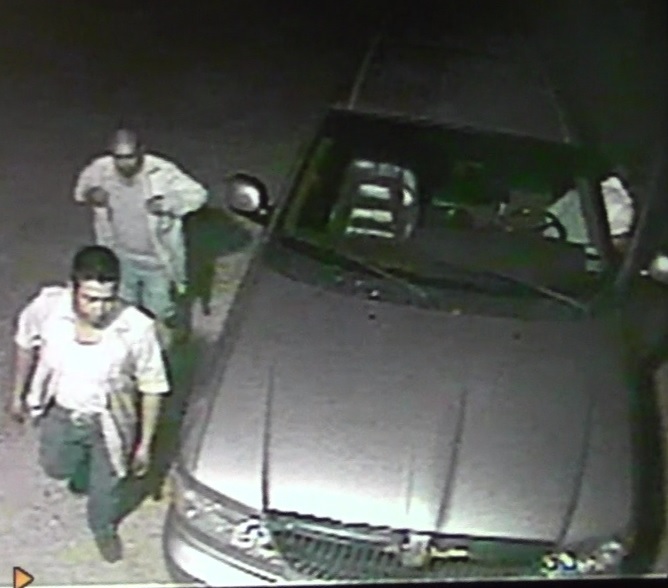 IF YOU HAVE ANY INFORMATION REGARDING THE BURGLARY, YOU ARE ASKED TO CALL KERR COUNTY CRIMESTOPPERS AT 830-896-8477. ON 11-30-2015, A BURGLARY TO A RESIDENCE TOOK PLACE ON OLD PASTURE ROAD, IN KERR COUNTY, TEXAS. NUMEROUS ITEMS WERE TAKEN. ON 12/3/2015, THE KERR COUNTY SHERIFF`S OFFICE WAS DISPATCHED TO A BUSINESS LOCATED ON KELLY STREET, IN CENTER POINT, TEXAS. THE BUSINESS OWNER REPORTED THAT SOMEONE ENTERED THE BUSINESS AND TOOK EQUIPMENT AND AN ASSORTMENT OF SMALL ITEMS. IF ANYONE HAS ANY INFORMATION REGARDING AN ACTOR(S), PLEASE CALL KERR COUNTY CRIMESTOPPERS AT 830-896-8477. ON 9/19/2015, AT ABOUT 1000 HOURS, KERR COUNTY DEPUTIES RESPONDED TO THE LAS COLINAS SUBDIVISION IN KERR COUNTY TEXAS REGARDING A BURGLARY. SEVERAL HIGH END ITEMS WERE TAKEN. IF YOU HAVE ANY INFORMATION REGARDING THIS CASE, PLEASE CALL 896-8477. ON 9/19/2015, AT ABOUT 0031 HOURS, KERR COUNTY DEPUTIES RESPONDED TO THE LOS CORRALES NIGHT CLUB/ RODEO LOCATED AT 7261 HIGHWAY 27, IN COMFORT, TEXAS. AN ASSAULT WAS REPORTED. THREE SUBJECTS ARE PERSONS OF INTEREST REGARDING THE ASSAULT. THE THREE SUBJECTS LEFT LOS CORRALES IN A BEIGE LINCOLN NAVIGATOR. IF YOU HAVE ANY INFORMATION REGARDING THESE SUBJECTS, PLEASE CONTACT KERR COUNTY CRIME STOPPERS AT 830-896-8477. ON 8/25/2015, AT ABOUT 0000 HOURS, KERR COUNTY DEPUTIES RESPONDED TO AN ALARM TO THE NEU MART STORE, LOCATED ON HIGHWAY 173. UPON ARRIVAL, DEPUTIES ADVISED THAT A FRONT WINDOW HAD BEEN BROKEN OUT. STORE MANAGEMENT ADVISED AN ASSORTMENT OF CIGARETTES HAD BEEN STOLEN. SECURITY FOOTAGE RECORDED AN ACTOR BREAKING OUT THE FRONT WINDOW AND ENTERING THE STORE. IF YOU HAVE ANY INFORMATION REGARDING THE BURGLARY, PLEASE CONTACT KERR COUNTY CRIME STOPPERS AT 830-896-8477. ON 8/17/2015, AT ABOUT 0040 HOURS, KERR COUNTY DEPUTIES WERE DISPATCHED TO THE CENTER POINT I.S.D OFFICES AND JUNIOR HIGH SCHOOL GYM, LOCATED AT 201 CHINA STREET, CENTER POINT, KERR COUNTY, TEXAS. THE NURSE`S OFFICE AND THE JUNIOR HIGH SCHOOL GYM HAD BEEN BURGLARIZED. DAMAGE WAS ALSO DONE TO THE LOCATIONS. KERR COUNTY CRIME STOPPERS WOULD APPRECIATE YOUR HELP WITH INFORMATION REGARDING THIS CRIME. PLEASE CALL 830-896-8477, EMAIL OR TEXT CRIME STOPPERS AT 274637. ON 7/9/2015, AT ABOUT 0900 HOURS, A 16 FOOT FLATBED TRAILER WAS STOLEN FROM THE FREDERICK DRIVE AREA, OFF RANCHERO ROAD, KERR COUNTY, TEXAS. THE FLATBED IS BLACK WITH WHITE RIMS AND IS SIX FEET WIDE. THE FLATBED HAS A BLACK METAL PIPE RAILING ON BOTH SIDES. THE FLATBED TRAILER WAS TAKEN BY A LATE 30`S HISPANIC MALE, WITH SHORT DARK HAIR, AND A "CHIN STRAPPED" BEARD. 5`9" TO 5`10" , MEDIUM BUILD. THE HISPANIC MALE WAS SEEN DRIVING A GRAY CHEVROLET SILVERADO FOUR DOOR PICKUP TRUCK. THE WORDING SILVERADO WAS ON THE SIDE OF THE TRUCK. PLEASE CONTACT CRIME STOPPERS IF YOU OBSERVED THIS FLATBED TRAILER OR SUSPECT. ON 5/7/2015, KERR COUNTY DEPUTIES RESPONDED TO THE END OF SUNSHINE ROAD, INGRAM, KERR COUNTY, TEXAS, IN REGARDS TO A THEFT OF WATER WELL EQUIPMENT. THE COMPLAINANT WHO WORKS FOR AQUA TEXAS WATER COMPANY REPORTED THAT WATER WELL EQUIPMENT HAD BEEN STOLEN FROM A SECURED AREA THAT AQUA TEXAS OWNS ON SUNSHINE ROAD. IF YOU HAVE ANY INFORMATION REGARDING THE THEFT, PLEASE CONTACT KERR COUNTY CRIMESTOPPERS AT 830-896-8477 OR TEXT 274637. THANK YOU. ON 5/4/2015, AT ABOUT 1130 P.M, A HOME INVASION OCCURRED ON BOWLIN STREET, CENTER POINT, TEXAS. A WHITE MALE, DESCRIBED TO BE HEAVY SET, SHORT HAIR, WITH A WHITE AND GRAY GOATEE, WITH A TATTOO ON HIS RIGHT FOREARM OF A SKULL WITH A FEATHER THAT RAN DOWN THE ARM. TIPSTERS ARE ASKED TO CONTACT CRIME STOPPERS AT 830-896-8477 WITH ANY ADDITIONAL INFORMATION. CASE NUMBER 2015-02468. ON 3-21-2015, AT APPROX 1055 HOURS, KERR COUNTY DEPUTIES WERE DISPATCHED TO THE 1000 BLOCK OF SHEPPARD REES ROAD, KERR COUNTY, IN REGARDS TO A THEFT OF COPPER WIRE CALL FROM A CELL/RADIO TOWER SITE. A LARGE AMOUNT OF COPPER WIRE HAD BEEN STOLEN BY AN UNKNOWN SUBJECT(S). IF YOU HAVE ANY INFORMATION REGARDING THE CRIME OR SUSPECT INFORMATION, PLEASE CONTACT KERR COUNTY CRIME STOPPERS AT 896-8477. Case number 2015-01913. On 3-4-2015, At about 0948 hours, the Kerr County Sheriff`s Office took a report of a burglary of a business, a welding shop, located at 5800 Highway 27 east, Center Point, Texas. The owner of the business reported that unknown suspect(s) had broken into his business sometime throughout the night and stole numerous items. Several hand tools, power tools, and supplies were stolen from the business. Kerr County Crimestoppers is seeking information of the suspect(s). Please contact Crime Stoppers at 830-896-8477, or text: 274637. Start text with kerrcrime, then continue your text. Or email www.tipsubmit.com.